Our Pro Pack is the absolute best collection of tools in the industry, available to all Invis Mortgage Intelligence brokers. Over 40 lenders (national, provincial, regional, credit unions, alternative lenders) are included, with a new one added almost every week. Yes the system is kept up to date so you can confidently look up lender policies! The team at Lender Spotlight does 350 product updates every day. Advanced filters: business for self, quick-close, limited feature, pre-approval, new to Canada... there are more than 70 different categories of policies for the most accurate filtering experience ever. Rate updates in one simple and easy to read format. Stop sifting through endless lender emails! Learn about lender rate changes before getting a BDM email, allowing you to act quickly to benefit your clients. A fantastic customer value add that is the first of its kind in our industry. 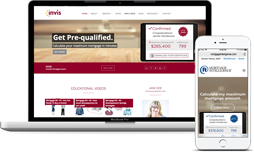 Branded to Invis and Mortgage Intelligence, the program encompasses all types of reward categories, allowing you to offer deep discounts on many of the products and services your customers purchase regularly. Every time your customer engages with the Program, they will be reminded of you! It is North American geo-specific so, for example, if your client travels to New York and searches restaurants, all participating local restaurants will appear in their search. Use the easy Search Engine Optimization (SEO) elements to ensure your site shows up in the most relevant searches by adding your keywords and putting in a title tag and description for each page. Stand out; choose from a range of designs that ensure your site doesn't look like a cookie cutter corporate site. 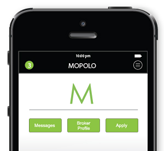 Our MOPOLO APP allows you to offer value to the modern homebuyer who's looking for robust information on their mobile device. Branded to you, MOPOLO makes it easy for your clients, prospects and referral sources to stay connected with YOU - and they get the benefit of free credit scores, their current property valuation, easy-to-use calculators, and current mortgage rates. They can even apply for a mortgage or credit card using the App, and use the App to stay in touch with you. VC3 is the industry's leading value-creation program: rewarding you for the equity you've built in your business when you retire or exit from the industry. You can choose a lump-sum payout, or annual payments over five years. You also retain the right to sell your book to another mortgage broker for a higher market price. Additional products will be added to the VC3 program over time that will increase the value of your business available for sale. Facebook, Twitter, LinkedIn. 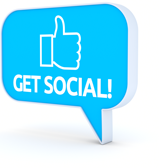 Our Pro Pack includes a steady stream of relevant weekly business posts - so you can focus on those easy personal and local posts knowing that we're providing a powerful base to keep your social media presence relevant and engaging.